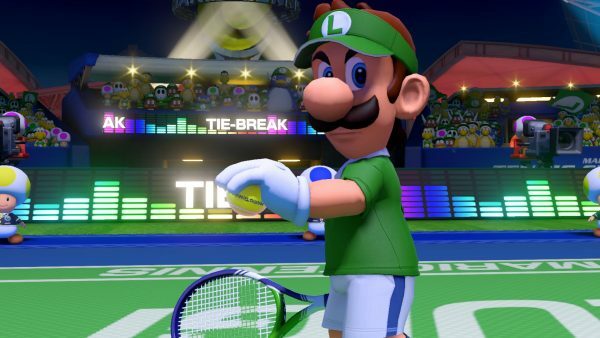 Mario Tennis Aces supports a more streamlined version of tennis matches, which is something many players didn’t want at all. Mario Tennis Aces launched last week, and so far it seems to be the fun Sports game you’d expect. That said, it’s received a surprising backlash from fans who expected traditional tennis gameplay. A new report from Eurogamer draws attention to the fact that unlike past Mario Tennis games, Aces focuses on a quick, streamlined matches. Normally, tennis games are based in sets. To win a set, players must be the first to win six games or win a sixth game tie-breaker. A final set then must be won by two games (6-4, 8-6, etc). Mario Tennis Aces uses best-of-three matches and follows no sets. It’s the kind of simplified gameplay you’d expect from a Nintendo game, but some fans are not having it – even to the point of trying to refund the game. It’s worth mentioning that previous Mario Tennis games had customized options that let you adopt whatever playstyle you preferred. Dropping those features does seem like a strange move, although perhaps it’s something Nintendo can patch in with an update.